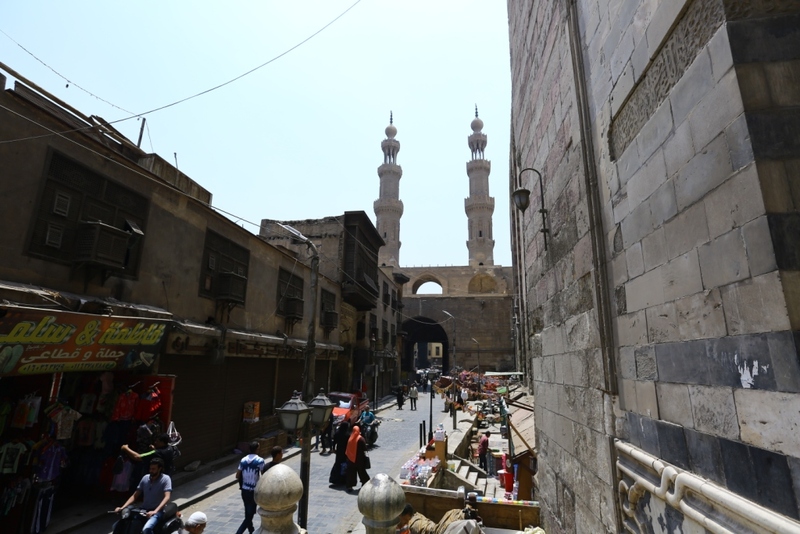 In Case You Want to Pay Muizz Street a Visit This Ramadan, Here Is a Comprehensive Guide! 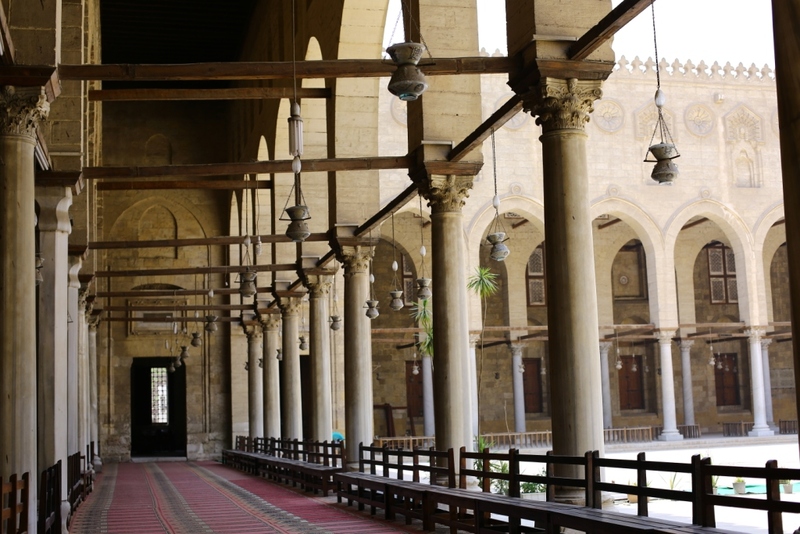 A lot of the beauty of Cairo lies within the streets and alleys of Islamic Cairo, the huge museum of Islamic architecture and captivating history. 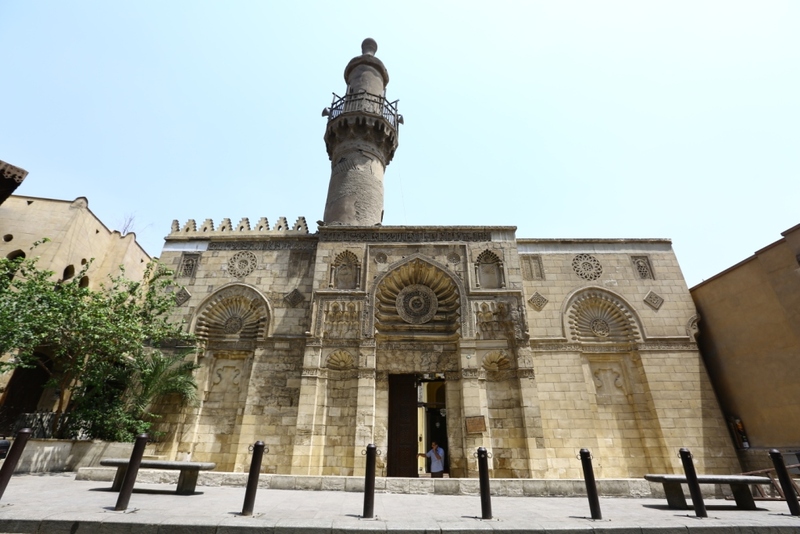 The problem though is that not everyone knows the exact extent of these places, or how to fully enjoy them, but here in this article, we’re exploring the beauty of Muizz Street with you so you can get the complete experience. What better time to walk through these beautiful streets than during Ramadan. Extending from Bab al-Futuh, passing through Al-Ghoria, crossed by Al-Azhar Street, and passing again by Al-Hussein area. 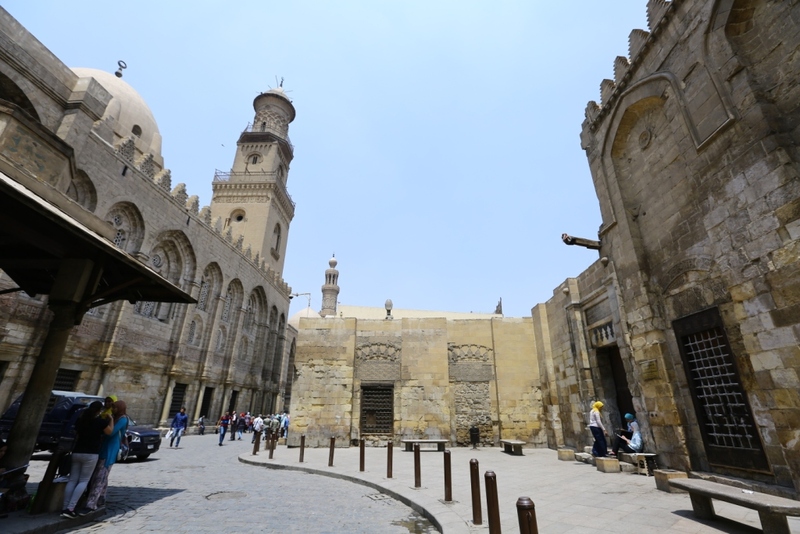 Muizz Street is one of the largest streets in Cairo, and it’s filled with sights to see. The great thing about this area is that you get to visit all the sights by paying a minimal fee of 5 EGP, however, if you’re looking to check out the Bayt Al-Suhaymi or the Egyptian Textile Museum, you’ll need to get a separate ticket for another fee. If you start your tour from Al-Azhar Street, you’ll find Al-Ghoria area on your left, with street vendors selling everything from clothes to bed sheets and blankets. Keep moving ahead and you’ll find yourself at Sabil Mohamed Ali. A few steps more will take you to Al-Muayyad Mosque near Bab al-Futuh, a classic example of Islamic architecture that warms you up to the sights ahead. Very much alike in style to Al-Sultan Hassan Mosque and Mohammed Ali Mosque. Alternatively, you can start from Al-Hussein Area, where you’ll pass by incense and myrrh vendors, as well as accessories and folkloric clothes. 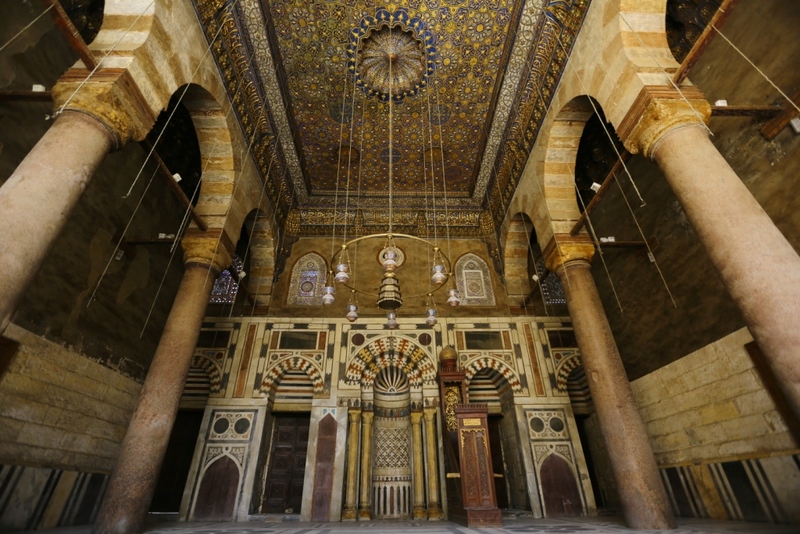 Check out the goods and continue your tour where you’ll find the first ancient building, Qalawun Complex, where you’ll get the ticket that grants you access to all the other ancient buildings. Your next stop will be Sultan Barquq Mosque, famous for its beautiful coloured hallway, and a rooftop straight from the Mamluk Ages when the Mosque was built. You can think of it as a smaller but coloured version of Al-Sultan Hassan Mosque. Head on to your next destination, and you’ll find Aqmar Mosque, somewhat of a hidden gem in that street. After finding the entrance hidden a bit lower than street level, you’ll find it still holds the elegance of its architectural engravings, even though it’s been relatively ignored in terms of renovations, as were the many mosques of Muizz Street. As for Bayt Al-Suhaymi, walk through its pathway to find the school of Baybars al-Bunduqdari, with the beautiful and large, roofless mosque. Thanks to the efforts of its gatekeepers, the mosque is home to a huge number of pigeons and other birds. Keep going for some distance, and you’ll find another recently famed sight, Al-Hakim Mosque. It was previously used as a storage area for merchants, but it’s currently undergoing renovations to bring back the beauty of its architecture with a wide and open roof. At the end of your journey, you’ll find Bab Zuweila, where the Shrine of Sheikh “Zuq” (meaning Tact). His name comes from his story, as he’s said to have decided to leave Egypt as people’s tact and politeness has deteriorated. Ironically, he died at Bab Zuweila, and was buried there, never to leave the country, leaving people to say that Egypt still has tact. Try to keep a water bottle with you since the street is best enjoyed in the morning, and there are few places where you can buy water. As for food, you can enjoy seafood or liver sandwiches, but for us, we prefer the bakeries with pies and pizzas. Also note that using a mic in video footage is not allowed without a permit, especially if you have a professional camera. It is mandatory to get that permit from the Ministry of Antiquities in Al-Abbasia. Stay tuned for a comprehensive feature on the latest Ramadan Lanterns hitting Muizz Street. Photo credits to Fathiya Elsisi.